DATTCO’s Technical Education Center (DTEC) is our training center located at DATTCO headquarters, 315 South Street, New Britain. If you want to be a technician, this is the place you want to be. Our instructors have decades of experience as technicians, are highly skilled in their areas of expertise and are certified. At DTEC, you will be trained using the latest equipment and most current technologies available in our shops, outfitted by our industry partners. Our training program consists of 2,000 hours of hands-on experience, online training, and classroom lectures. 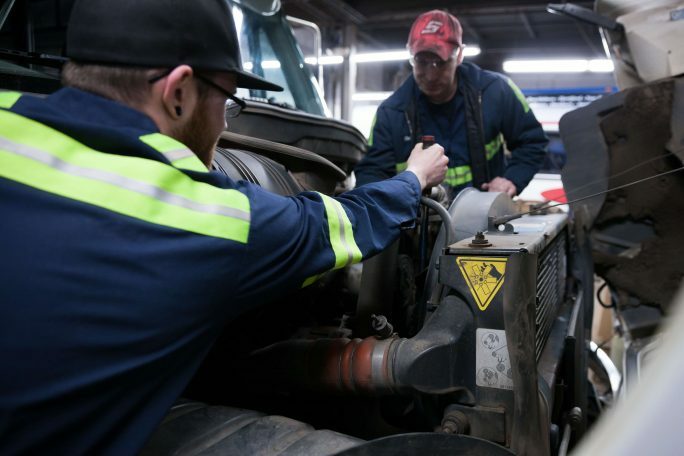 When you complete our DTEC training program, you are provided with a year of continuing education that includes one class per week, assisting you in earning you manufacturer certifications.